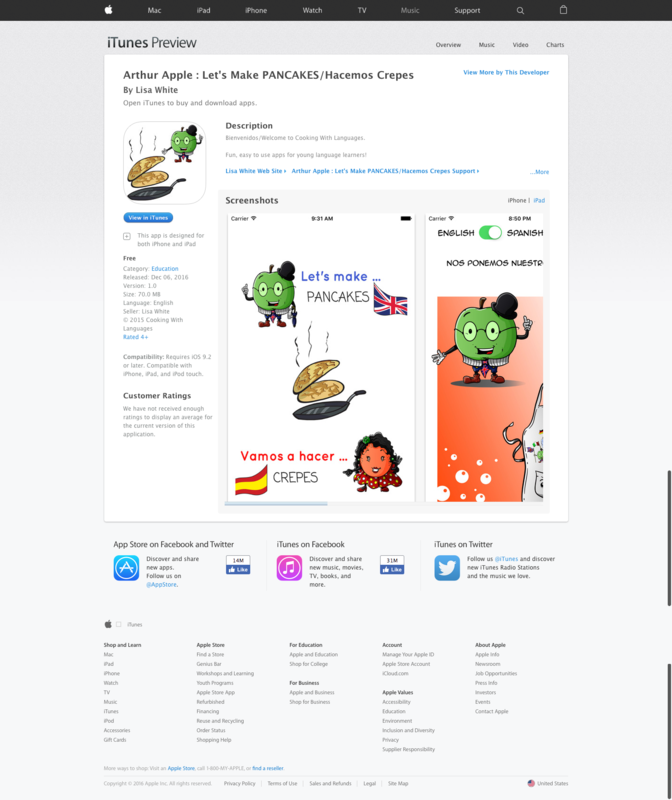 Our newly released Arthur Apple Bilingual App: Let’s Make PANCAKES/Hacemos Crepes is now available for iPhone, iPad and iPod Touch. 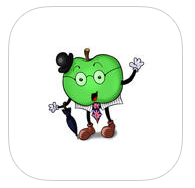 It is a fun, easy to use app for young language learners! IMPORTANT: We are offering if for FREE for the first 100 downloads only! Our cute and fun loving language assistants, Arthur Apple and Nerea Naranja make language learning fun for children. Listen to them speaking in either English or Spanish and repeat what you hear. No more worrying about how to pronounce those new foreign words. With our help, you and your children will sound like natives in no time! Our RECIPE apps are easy to follow recipes that you can listen to, in English or Spanish, as many times as you like. You will learn new words and hear the correct pronunciation. Follow the simple instructions and make something simple and scrummy too! 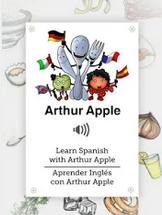 All our apps complement our BILINGUAL ACTIVITY COOKBOOK that will be available very soon. NOTE: Our bilingual materials will soon be available in other languages (including French, German and Italian)! 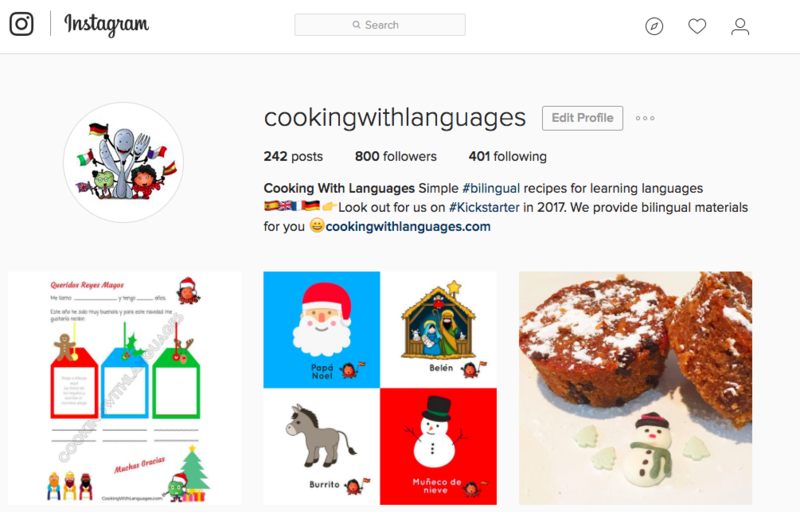 We are a new, innovative, family start up, providing fun and interactive materials to help children enjoy language learning. We believe that speaking languages is like having superpowers. We want to help you create lots of language-loving superheroes.